Forgiveness plays a key role in the maintenance of social relationships, the avoidance of unnecessary conflict, and the ability to move forward with one’s life. Why do some people find it easier to forgive and forget than others? The current Transhumanist ethos seemingly has the need to create an all powerful god of its own design. Can a computer that can outmanoeuvre the human brain will somehow produce a liberated society? Everyone has their own unique set of phobias or anxieties, but these “surface fears” are all linked to the one base fear: fear of the unknown. In a time in which humanity (the only earthly species not on a raw diet) has lost its way in a fog of lower consciousness, plants have reemerged to teach us. What if you had a ton of ideas for every situation? Herewith one man’s system – an ultimate cheat sheet if you will – for becoming an idea machine. The expanding gray market-the economy that happens without permission-offers unlimited opportunities to end dependence on the job/public-assistance paradigm. Pleasure is the carrot dangled by the body to get us to do the things we need to survive and prosper. It helps us reach important survival goals. But we’re not ascetics. Experiencing and appreciating pleasure as its own entity is necessary for true happiness and life contentment. Have you ever watched something happening in slow motion? You can quite clearly see the end result, but nevertheless, you can’t quite believe in your mind what your eyes are seeing. I feel exactly that way about modern society right now. The collapse is already happening, but in slow motion, so you can’t quite believe the entirety of it. Learn simple daily practices that support personal, family and business empowerment from inspiring speaker Lee Brower – author, teacher, mentor and coach for entrepreneurs and CEOs. The Ecstasy of Surrender with Judith Orloff, M.D. Dr. Judith Orloff talks about her remarkable new book (“The Ecstasy of Surrender”) and more with Anjula Ram of Conscious Life News. 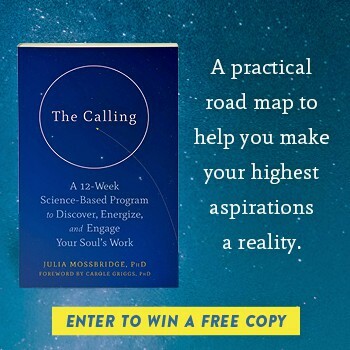 Dr. Orloff’s book is subtitled: “12 Surprising Ways Letting Go Can Empower Your Life.” She discusses some of the ways of surrendering and letting go with Anjula. It’s an uplifting and highly informative interview. Enjoy! For those who are fully consumed with bad news and feeling totally at the whims of dark and powerful forces, it is crucial to remember the value of life and the value of our precious personal time in this cauldron. As a practical matter of achieving this awareness, here are five things that people can consider and focus on to alleviate the fear, anxiety, and concern of living in these interesting times. Why DO Grownups Stop Laughing? A kid laughs on average 300 times a day… an adult, only 5 times. When and why do we block this critical key for happiness, what doctors call “inner jogging”? Learn to harness the power of your Heart and watch your life change. Your life will be a joy to live each and every day. You will be free from fear. You will heal yourself. And, you will experience guidance in every area of your life. The mother of a child with cerebral palsy created a system that could improve the lives of children suffering from motor impairments around the world. The “Upsee” goes on sale April 7 and consists of three parts – a harness for the child; a belt for the adult, to which the harness gets attached; and special sandals, which allow the parent and child to step simultaneously, freeing their hands and creating a much more stable, varied and stimulating walking experience.